How can the Healthcare industry benefit from Social Media? I’ve discussed in the Ad Spread the use of social media for the luxury retail industry as well as for museums. Today’s topic: the healthcare industry. Companies in the B2C sector use social media for Big Data in order to get insights on their consumers to identify new needs and explore new market opportunities. This can also be done for the healthcare sector – which the industry is slowing acknowledging and implementing. 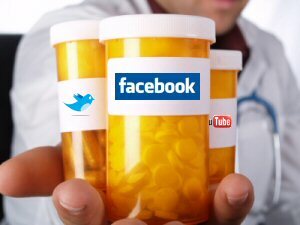 Many users use the Internet and Social Media to find out about symptoms they may have or side effects related to medication they are taking. In 2012, the Health Research Institute (HRI) conducted a study which found that one-third of consumers were using social media for health-related matters. It also indicated that these consumers were usually choosing to research information on “community” sites over industry specialized sites. RISK: they may have access to false information. “Social media terms such as liking, following, tagging, can provide the clues that could lead to higher quality care, more loyal customers, efficiency, and even revenue growth” (HRI, 2012). 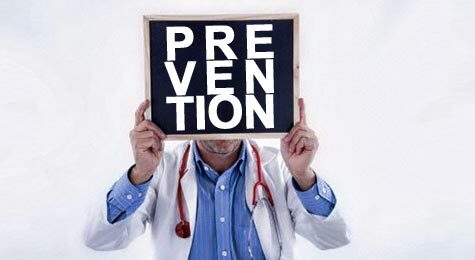 Social media could therefore help Health Organizations and departments to identify this and communicate the right information as well as suggest possible prevention procedures through keyword search, hashtags and creating a page/profile on various social networks where users can ask, engage and be informed on current health matters. Another option is to ask Health Specialists participate in external forums to reduce the risk of misleading information and generate awareness about industry approved websites. There are current talks between the Food and Drug Administration (FDA) and Google about how the search engine could help the agency identify unknown side effects of medications (Bloomberg, 2015). This project could go a long way in terms of minimizing and tracking health risks, and reaching out to patients with possible side effects. One thing health organizations must be weary of is providing too much information. Indeed, doctors should not be providing medical assistance to patients through social media and they would be liable for wrongful practice. Tozzi, John, and Dina Bass. ‘Your Google Searches Could Help The FDA Find Drug Side Effects’. Bloomberg.com. N.p., 2015. Web. 26 July 2015. Social Media “Likes” Healthcare From Marketing To Social Business. PWC, 2012. Web. 26 July 2015. Health Research Institute. A lot of museums underestimate the power of social media even though they have the most popular type of content to share: pictures! In fact, it is only recently that the Museum of Fine Arts of Montreal (MFAM / MBAM in french) decided to take advantage of this opportunity. Indeed, in September 2014 the Museum revamped its whole website and took this time to build its social media presence as it was only present on Twitter prior to the remodel. According to Voir.ca (2014), the MFAM reached its record in the number of visitors in 2013 with over 1,015,022 visitors. 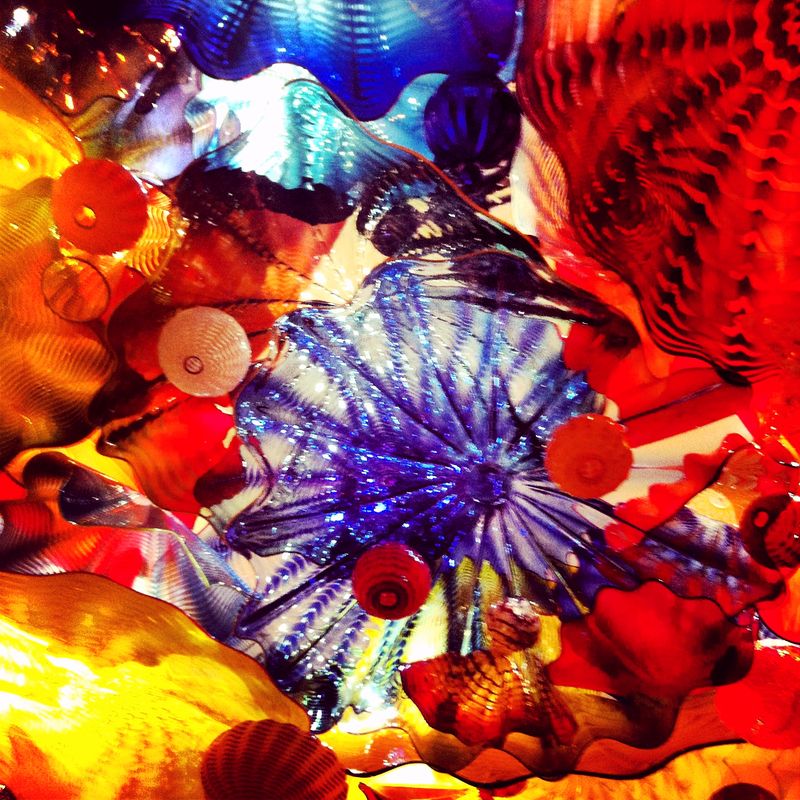 This record number was partly due to the success of the Glass Art exhibition by Chihuly. More than 40,000 visitors were geo-tagging themselves at the museum before the official MFAM Facebook page was created. This showed its increasing popularity and justified even more its need to be present on various social media networks. – or maintain a good profile (52 % des internet users). The sharing of information (40,6 % of internet users) as well as the creation of content (36 %) were the most popular activities. Approximately one third of quebecer internet users who use social media have followed/liked a brand, company, organization or ministry (31%). On Facebook and Twitter for example, it is more than half of these users who have interacted with a brand or organization on social media. It is therefore hard for quebecer companies to ignore the potential of this method of communication (CEFRIO, 2012). Almost all of the young quebecers aged between 18 to 24 have fulfilled at least one action on social media networks (91.8%). This portion represents 85.7% in the 25 to 34 age group and 68.5% in the 35 to 44 one. It then decreases to 62.8% in the 45 to 54 age group and 40.4% in the 55 to 64 to then reach 17.2% in the 65+. In Quebec, the adults from Montreal are the most active on social media networks (64.5%). Montreal is a popular destination in Quebec partly because of its cosmopolitan and trendy atmosphere and justifies museums presence on social media. According to the industry sector of quebecer companies, the profile of internet users that interact with organizations varies. Indeed, for organizations involved in the arts, the profile of consumers that will interact will in majority be students or people that have graduated from university. One of the main reasons why companies are reluctant to use social media is fear of damaging their reputation and image online. – A person internal or external to the company takes possession of the social media platforms with the aim of sabotaging the company’s image. – The company itself harmed its reputation by for example launching a marketing campaign which was negatively perceived by its target audience thus neglecting the negative repercussions it would have. Not having any online presence does not prevent a company’s reputation. If consumers are unsatisfied with a company’s product or campaign, they will not hesitate to share their discontentment on social media networks. Therefore avoiding social media networks does not diminish the risks of damaging one’s reputation. Maintaining a good presence on social media platforms enables companies to monitor what is being said about them. Facebook and Wikipedia suggest pages on Canadian museums that have not been created by museums; the content is published by users. Similarly, tourism evaluation sites by peers such as TripAdvisor allow anyone to draw up a list of attractions and evaluate them whether the organization approves or not. So what are the actual benefits for museums to have a social media presence? Museums and cultural spots use Facebook for the following: sharing of images and textual content on their pages, games/contests, special timeline (using it as a chronological biography of some artists). As a way of thanking fans, some museums have organized special events inviting their Facebook fans. Indeed the Louvre hosted in March 2012 a special night inviting all its Facebook fans. Same thing with the Detroit Institute of Arts and The Decorative Arts in Paris. Does Facebook go to far sometimes? There have been some occasions when Facebook has banned content posted by museums. A good example of this was in March 2013 when the Paris Racquet Museum posted a photo of a naked person taken in 1940 by the photographer Laure Albin Guillot. This photography in question was part of an exhibition at the time held at the museum. Facebook deleted the content after being alerted by some users and blocked the museum’s page for 24hrs. Pinterest is best described as a virtual pinboard, where users can post or “pin” interesting pictures and then provide comments from websites directly or from Pinterest. Similar to other social media platforms, users can follow other individuals or organizations, or they can follow individual boards. Pinterest also allows group boards, so that multiple users can be invited to Pin to the same board. Pinterest supports hashtags that can be integrated into the image description. 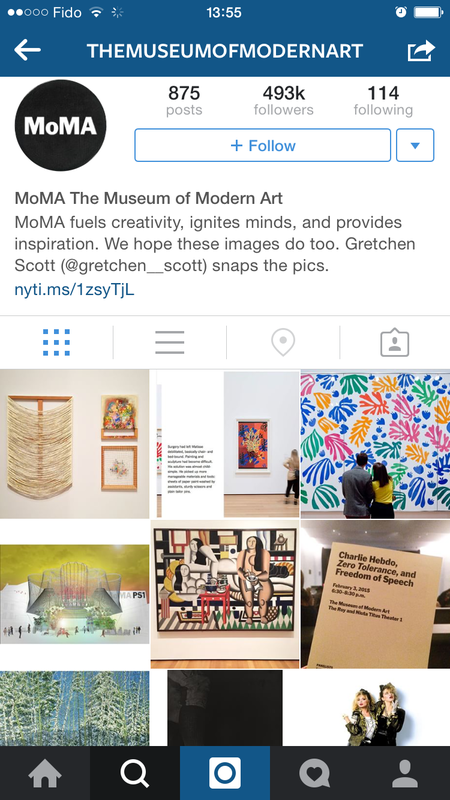 Content from institutions like museums can be especially appealing to Pinterest’s audience as this social media platform is visually-oriented. Museums can Pin their visuals from their own website, thus maintaining a link to the source page that visitors will see when they click through. The referrals these links generate present an opportunity for Search Engine Optimization (SEO). For museums and cultural institutions, it can be a way to increase exposure of their collection to a greater audience and generate interest in their museum. 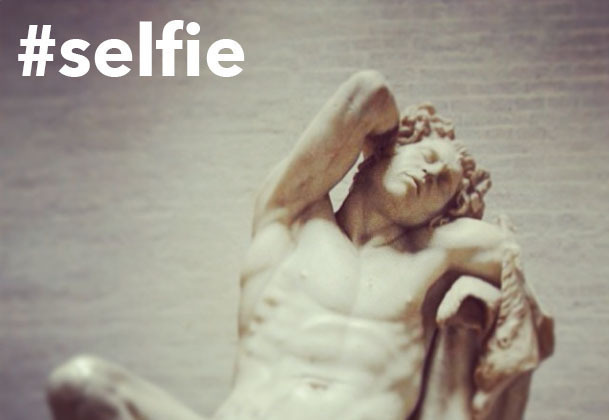 Instagram is another great platform for museums to share photos of art pieces if hashtags are used properly. Instagram can be a great tool to organize a photo campaign using a hashtag that museums can invent to then check out the collection of pictures that users have shared to take part in the contest. Instagram therefore increases brand awareness as the use of hashtags and geotargeting as well as the option share photos from the app on multiple social media platforms increases the reach for cultural institutions. As you can see there are more reasons for Museums to be present online than reasons to ignore social media. It can benefit these institutions greatly if used properly and enables to introduce art and culture in a different way that can appeal to a younger crowd. 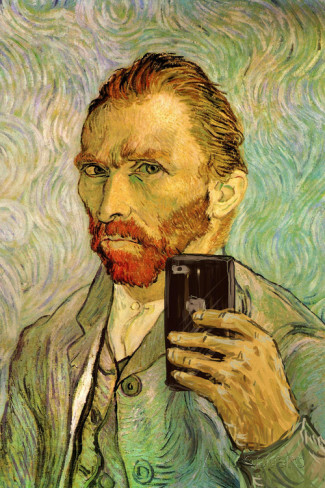 The Selfie started trending on social media networks when Instagram was launched in 2010. 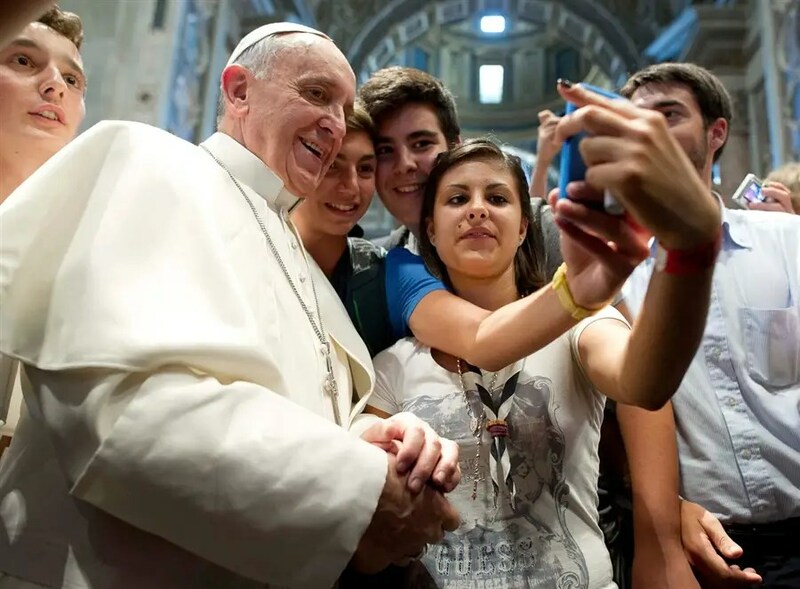 Selfies are frequently perceived as self-indulgent or attention-seeking and exhibit narcissism. The #selfie was exclusively used for personal purposes but recently brands have been integrating it as part of their marketing strategies. The latest and popular marketing strategies that seized the opportunity of the selfie were Samsung through Elle DeGeneres at the Oscars for its latest Smartphone and the UK Cancer Research with the #nomakeupselfie campaign. Following this another campaign encouraged men to post #cockinasock selfies (which Instagram deleted and then reposted a few hours later) to also help raise funds for cancer. Celebrities have contributed to #selfie to increase their exposure. Even the Pope has done it! The selfie is proof that things can go viral pretty quick; the #nomakeupselfie campaign was not actually created nor launched by Cancer Research and it is still unknown how it was conceived. The Cancer Research only took advantage of the hashtag and phenomenon once it started to become viral and added a text code to encourage users to donate. The campaign helped raise more than £8m. Selfies have had more devastating outcomes particularly for the online game NekNominate, which involved people filming themselves downing alcohol and which has led to several deaths. People have become so obsessed in getting the perfect selfie or a selfie worthwhile that they become unaware of the dangers and risks that surround them. Selfies have led to people becoming increasingly superficial and in constant quest of being beautiful. They employ social media networks as a process to reassure them that they are “good-looking”. It is also leading consumers to become unconscious about the pictures they are putting online and the impact it could have on them in the future. Indeed, a lot of selfie fanatics post pictures of themselves half naked or in awkward poses which may put them in a delicate position for job applications. Have smartphones just showed out in the open how people truly are or have they created this recent addiction? LUXURY BRANDS AND SOCIAL MEDIA: DO THE TWO GO TOGETHER? The presence of luxury brands online has always stirred debate, especially when it comes to social media! Definitely, the controversy surrounding this topic revolves around the fact that luxury brands aim to communicate an image of exclusivity whereas social media is all about being accessible and open to everyone. Plus, one of the key elements in being a high-end brand is developing unique user experience for the consumer. One of the main reasons why so many luxury brands have been reluctant towards social media is that the brand image can easily be damaged if social media marketing is not used properly. However, it’s now clear that not being present at all on social media networks can also be dangerous. According to a survey conducted by Luxury Interactive this year, 85% of luxury brand marketers plan to increase their spending on digital channels in 2013 and 72% intend to invest more in social media. Also, until recently luxury brands have been hesitant to engage with “high net worth individuals” on social media thinking that they are not active users of social media. However, research has shown that among the top 20% of earners in the UK, France and Germany, there are groups that enjoy engaging with brands on social media (The Guardian, June 2013). There are four key elements that personify luxury brands: design (the aesthetic of the stores), user experience (offer the user a unique experience online), customer service (provide irreproachable and friendly customer service), and in-store experience (provide an experience for the customer reflecting the image of the brand). So how do you convey this online? According to Luxury Interactive (2013), among the brands that have a strong online marketing strategy, the most effective strategies on social networks, are posting pictures of products (81%) followed by video to engage fans and followers (75%) and 60% found value in generating new ideas for product launches. Today, Facebook is clearly the most popular medium for high-end brands. Indeed, 95% of the marketers who participated in the study claim they actively engage customers on Facebook. Twitter is second, used by 85%, followed by Pinterest (60%). The majority of marketers have been very satisfied with their online campaign results that ran on these networks and plan to invest more in their mobile marketing strategies. So what is the key for a successful social media strategy for high-end brands? In order to be successful online, it isrecommended that luxury brands develop adaptable communication strategies, meaning that the content of their communications should work well across both traditional and digital platforms. It is also crucial to create social media content that will be relevant to existing fans and followers and at the same time attract desirable new consumers to the brand. Social media is all about engaging with the fans and consumers and creating /maintaining a long-lasting relationship. Some success stories in the luxury industry include Burberry in 2009. Burberry was one of the first brands to really embrace the “cognitive surplus” of social media. The term “cognitive surplus” was found by a theorist named Clay Shirky. The term refers to social digital media empowering users to produce and share content without seeking personal gain. According to Prelini Udayan-Chiechi (2013), customers do not care about relationships. What matters to them is the experience, “it’s experiences, and the sharing of those experiences, that are the real drivers of social media”. Also customers are more likely to trust other customers than the brands themselves. In 2009, Burberry felt the pressure of the economic crisis and decided to stand out and invest in social media. A campaign named “the Art of the Trench” was thus launched. The aim of the campaign was to encourage existing customers to share photos of themselves wearing their Burberry trench coats. This enabled the brand to engage with customers and offer them their 15mins of fame. The pictures could be liked, shared and commented via various social media platforms. The campaign was a great success and enabled the brand to have a younger looking image and reach a fresher clientele. Porsche also prospered on Facebook last year and reached 5M Facebook likes by allowing fans to partake in the design a special model of the 911 Carrera. Even though the majority of fans on Facebook are aspirationals, this doesn’t mean that they won’t be able to afford luxury brand products at some point in their lives. By establishing a relationship with these individuals, there are greater chances that these individuals will purchase products in the future from brands that engaged with them. This is why it is important for high-end brands to convey the dream and share their story to these potential future customers. These examples are proof that social media can increase recognition of luxury brands and reinforce the relationship between consumers and these brands. The “exclusiveness” of the brands remains unharmed as they still convey sophistication, quality and excellence. The key thing to remember is to stay true to the image of the brand and engage with consumers to keep them interested in the brand.